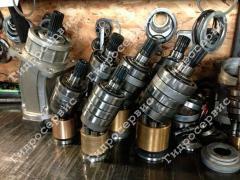 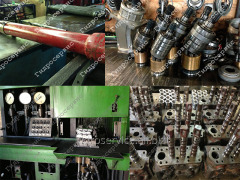 We make major repair of hydraulics of most of the Russian and foreign producers of Bosch-RexRoth, Linde, Kayaba, Liebherr, Hydromatik, Caterpillar, Komatsu, JCB, Hitachi, etc., repair is made on hi-tech the equipment, the professionals having a wide experience of work and providing high quality of the performed works. 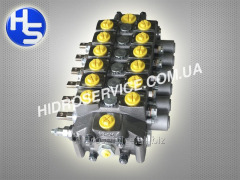 There is a possibility of delivery of original foreign hydraulic nodes and units, and their component parts for an import selsko economic, dorozhno - construction equipment of different brands. 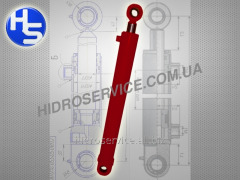 Unbelievable price on Repair of hydraulic cylinders piston and telescopic in Melitopol (Ukraine) company Gidroservis-M, OOO.